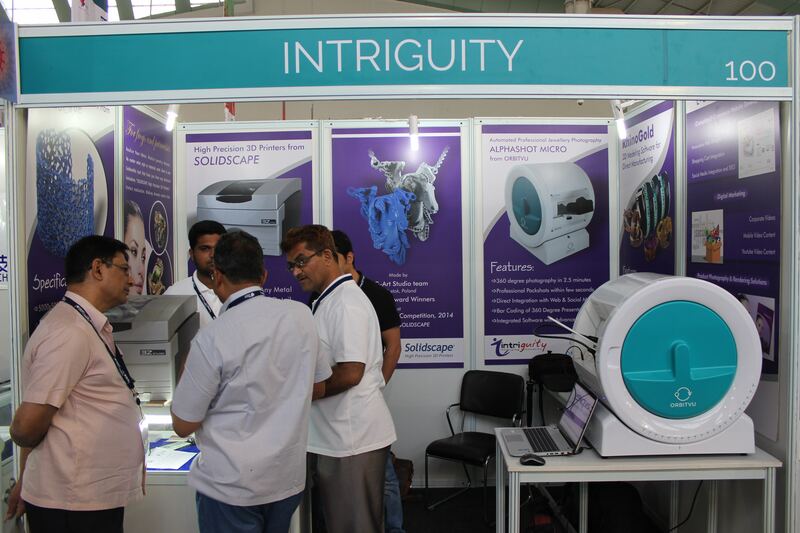 Intriguity participated in the 2nd Edition of the Indian Gems & Jewellery Machinery Exhibition 2014 held at the International Convention Centre, Surat. This exhibition is the only exclusive machinery & technology exhibition organised by the GJEPC in India. Over a 100 exhibitors exhibited in this show and the show was well attended by several jewellery manufacturers and retailers across India. “The Indian Gems & Jewellery Industry is growing at a steady rate and is one of the largest export segments in the Indian GDP. However, the technology adoption in this industry is constantly growing and Solidscape 3D Printing solutions is one of the key technologies in this sector. Intriguity & Solidscape have more than 60 customer in India using our machines and this would most likely grow at a faster rate. Our focus is also on the retail segment’ commented Mr Pankaj Goswami – Sales Manager, Asia at Solidscape Inc.
“We expect to offer user friendly direct manufacturing and e-commerce solutions for the Indian Jewellery Industry and would like to contribute to grow this industry to be competitive in the global market offering the best products as per global standards” says Mr Vikrant Rawa from Intriguity. Intriguity displayed software & hardware solutions including RhinoGold & Solidscape for Direct Manufacturing as well as e-commerce solutions including Orbitvu and Brazil rendering software.